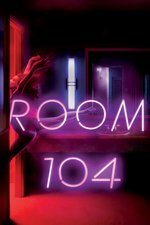 A young woman comes to Room 104 to babysit Ralph, who has locked "Ralphie" in the bathroom. Content warning below the fold. The Duplass brothers (Togetherness, Safety Not Guaranteed) begin an HBO anthology series that tells stories from the titular hotel room. anyone watching this? i haven't dived in yet, heard this ep was not great. curious for opinions and not spoiler-shy. I watched. I was extremely underwhelmed. I might catch a couple more episodes, but this show is on a pretty short leash.